The drummer and composer Martina Almgren, presenting herself on a new adventure, where she created music based on the Indian-Bengali poet Rabindranath Tagore´s lyrics - sung by Karin Burman. 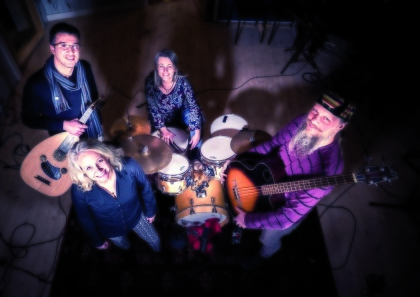 Along with Ahmad al Khatib on oud and Owe Almgren on acoustic bass guitar they are looking forward to a chamber jazz-oriental landscape characterized by the thoughtfulness and aroma of a starry night. Almgren's musical framing of the lyrical poems highlights the poetry's moods in a powerful way...a beautiful and delicate combination. 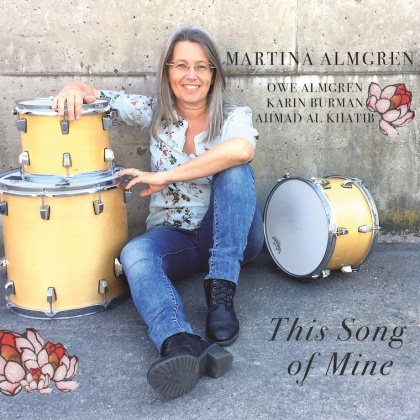 On her new album ”This Song of Mine”, Martina collaborates with the oud player Ahmad al Khatib with roots in Palestine, the Swedish singer Karin Burman and the acoustic bass guitarist Owe Almgren. The album features music composed to poems by the India/Bengali poet Rabindranath Tagore and has influences from jazz as well as world and English Medieval music. I call that person and cry: `This life is blest!